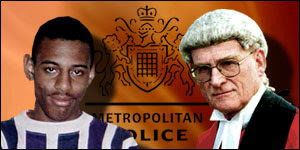 The Macpherson inquiry into the death of Stephen Lawrence uses the phrase ‘Institutional racism’. Since then not only the police but also the teaching profession and others have come under fire in some quarters for perceived ‘Institutional racism’. By way of example they cite white terrorists bombing a black church in Birmingham, Alabama (individual racism). Then they say that in that same city 500 black babies died each year through lack of proper food, clothing, shelter and medical facilities and ‘thousands more were destroyed or maimed physically, emotionally, and intellectually because of conditions of poverty and discrimination in the black community’ (institutional racism). We do not necessarily accept these definitions or the presuppositions behind them. Nevertheless surely we have to face the question not only whether we are racist as individuals but also whether the institutions with which we are involved, and that includes our churches, are racist. A Methodist spokesman (Stephen Lawrence’s divorced parents are apparently Methodists) has called on ‘groups and institutions in our country, including all the churches, humbly to review their attitudes, procedures and institutional arrangements in the light of’ the inquiry’s definition. It would be arrogant to ignore such a call. People often turn to science or religion to bolster their racism. The Bible really gives no encouragement. We all descend from Adam. We are all in God’s image and we are all sinners. We are all affected by our culture and background but there is nothing inherently more sinful about one race over another, although some cultures may be more given to one particular sin than another. The Jews are specifically told, The LORD did not set his affection on you and choose you because you were more numerous than other peoples … it was because the LORD loved you and kept the oath he swore to your forefathers that he … redeemed you …. Although the Law distinguished at certain points between aliens and Israelites the basic message is that The alien living with you must be treated as one of your native-born. Love him as yourself, for you were aliens in Egypt. Similarly, while maintaining Salvation is of the Jews, Jesus actively discouraged the prejudice of Jews against Samaritans, Samaritans against Jews. Paul is clear, too, in Christ there is no Greek or Jew, circumcised or uncircumcised, barbarian, Scythian, slave or free, but Christ is all, and is in all. When he quotes Epimenides’ assessment of his fellow Cretans as always liars, evil brutes, lazy gluttons he accepts it as true of unconverted Cretans not converted ones. 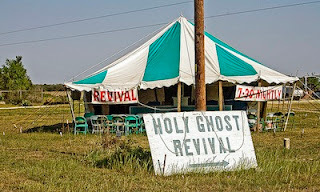 So is there any possibility that our local churches may be guilty of institutional racism? The question affects some more acutely than others. Small as we are in Childs Hill a typical congregation is made up of people from ten or more countries on four continents, although we are more homogeneous than that might suggest. We all need to consider, however, whether we are failing to treat people appropriately because of their colour, culture or ethnic origin and whether our policies, procedures, operations and church culture reinforce individual prejudices or are reinforced by them? In evangelism, are we making efforts to reach out into every part of the community in which we find ourselves? In some cases this is difficult. Where religious, cultural and linguistic barriers exist it will be much easier to reach some than others. The Spirit sometimes makes one sort of people more receptive than another. We have New Testament examples of Paul turning from Jews to concentrate on Gentiles. However, this was not until he had first endeavoured to bring the gospel to the Jews. When people come to our meetings, do they receive an equally warm welcome wherever they hail from? This is not as easy as it may sound. People from Wales come to us and I ask where they are from, why they are in London and who they know. When others come it can be more difficult. It may take a few goes to pronounce their name correctly. They say where they are from but it does not mean much to me. Perhaps their accent is difficult or their English limited. Nevertheless, we must surely welcome all. James warns us against making a fuss of some people and not of others. In church life, are we guarding against undue favouritism? You remember the trouble in the church at Jerusalem over the daily provision for widows. The Greek speaking Jews felt they were being overlooked. Acts 6 give us a model of how to deal with such a situation and put it right. In the teaching ministry, is there unnecessary bias toward one culture in the examples and illustrations used? Can ministers not do some reading to inform ourselves of the gospel’s progress in other cultures and use this to illustrate the points we want to get across? Jesus certainly tailored his teaching materials to suit his audience. What about leadership in the churches? It is disappointing that in Reformed ministers conferences and similar gatherings there are so few present from the ethnic minorities. We are perhaps doing marginally better than the police but certainly not as well as the Premier League. There are historic and theological reasons why many West Indians, for example, formed their own churches but surely we can do something to overcome such problems. Certainly we must make sure that no-one in our churches with gifts of leadership is held back simply because of his cultural background. This is a big issue and the questions above are not intended to suggest a few minor changes will solve every problem. We must get this right, however, as we progress to the day when those from every nation tribe, people and language, stand before the throne and in front of the Lamb … wearing white robes … holding palm branches in their hands.